Today, Sony issued a press release announcing DC Comics coming to the comic book reader for the PSP. Books will be available to purchase over PlayStation Network for $1 to $3 a copy. 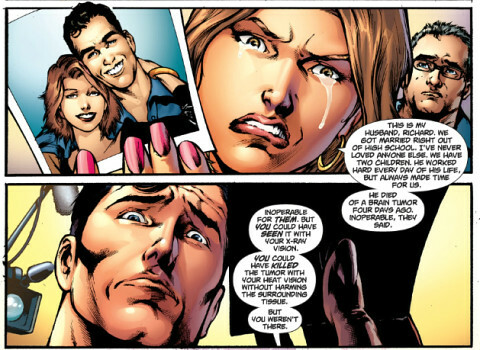 What they aren’t telling you is that this is just one part of a huge digital initiative from DC Comics. 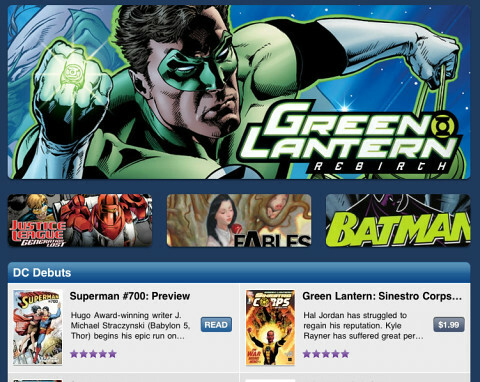 In addition to being able to purchase comics through the PlayStation Network, you can also download a DC Comics app for the iPad or iPhone/iPod touch. The technology is licensed from comiXology and is also used in the Marvel Comics app. A number of books are available for free for folks who want to try out the technology before committing. You can view each page as a whole or double tap any panel to enter a panel by panel, word bubble by word bubble guided mode. The only problem so far is the same problem that plagues the comic reader on the PSP: the hobby, by it’s nature, attracts folks who “gotta catch them all” and there’s no way of saying “I want these 10 or 20 or 50 books all at once.” Even if you could afford a complete run of, say, Batman, there’s no way to get it because a) the store doesn’t offer all the issues and b) even if they did you’d have to select them one at a time. But as they say, Rome was not built in a day and from tiny acorns mighty oaks must grow. It’s a good first step and once the digital library grows a bit more we may find the graphic novel section at the local bookstore shrinking as the files move online. FOSTER CITY, Calif., June 23 /PRNewswire/ — Sony Computer Entertainment America (SCEA) today announced the availability of DC Comics on the PlayStation Network digital comics service for PSP™ (PlayStation®Portable). An initial selection of over 80 DC titles can be downloaded from PlayStation®Store immediately priced from $0.99 to $2.99 per issue that include Batman: Hush, Green Lantern: Rebirth, Fables: Legends in Exiles and Planetary: All Over the World and Other Stories, as well as comics that are exclusive to PlayStation Network such as Free Realms, God of War, Resistance, and Superman/Batman. Lastly, DC Comics is offering users a free 10-page preview of the 700th issue of Superman available on the PlayStation Network digital comics. DC Comics is the largest English-language comic book publisher in the world. In 1938, they introduced Superman to the world, followed afterwards by Batman, Wonder Woman, Green Lantern, The Flash and many others. Today, they publish nearly 1000 issues a year – and will now be going digital with PlayStation. Launched in December 2009, the hugely successful PlayStation Network digital comics brings the brightness and excitement of fan-favorite comics to the screen of every PSP model, including PSP™go. With accessibility from any Wi-Fi hotspot, users have access to a catalog of over 1600 classic and new comics to download from PlayStation Store. With Autoflow, readers can read comics frame by frame, zooming in and out all at the touch of a button, the way the artist intended. PlayStation Network digital comics is available for all PSP models by downloading the latest firmware (6.20) and selecting the ‘Digital Comics’ icon under the ‘Extras’ column on PSP’s XMB menu. Once the ‘digital reader’ is downloaded, users are able to explore a huge and ever-growing range of more than 1600 comics, download and read them. Users can access PlayStation Store either directly on their PSP or via Media Go on their PC. PlayStation Network digital comics for PSP is available in PlayStation Store for the US, UK, Ireland, Australia, New Zealand and South Africa, and will be rolled out to further territories later this year. To learn more about what comics are available, visit the PlayStation Blog, Twitter and www.playstationcomics.com. For more information, please contact your local PR manager. More information about PlayStation products can be found at www.playstation.com or visit the Virtual Press Office at www.scee.presscentre.com. Visit us on the Web at www.us.playstation.com. PlayStation, the PlayStation logo and PSP are registered trademarks of Sony Computer Entertainment Inc. PS3 is a trademark of Sony Computer Entertainment Inc. All other trademarks are property of their respective owners.